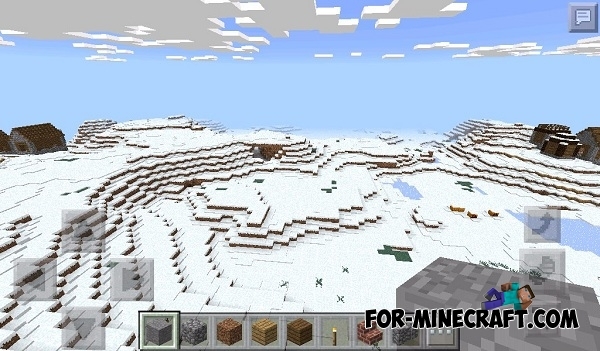 With this seed, you will find yourself in a winter biome, where the two villages are located. 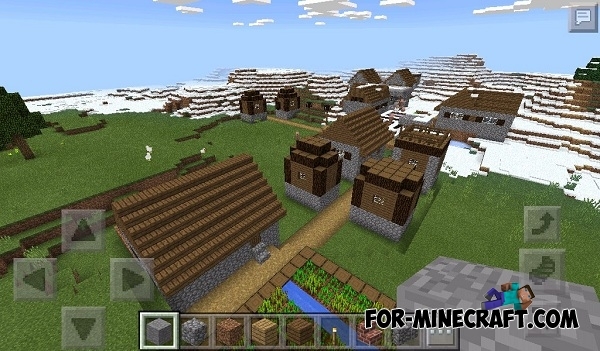 One of the villages is located close to you, and you need to go to another village (about 40 blocks). In the villages, you will find a variety of plants, so that you can survive the first time. Also there is taiga.